Araliya Green City, The First Five Star Hotel from Nuwara Eliya opened its doors unveiling a new level luxury in the City of Light. This elegant new property is the Flagship hotel of Araliya Group of Companies. It is recognized as one of the premier hotels in Nuwara Eliya that blends ultimate luxury, relaxation, entertainment into memories of a lifetime. Accommodation facilities are designed to include both apartment and individual guestroom types. 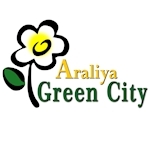 With its 192 suites and rooms Araliya Green City is the only such property in this holiday destination that provides live in type accommodation especially for families who wish to spend their holiday in fully serviced luxury units rather than stay as they would in a standard hotel room. Families, couples and business travellers alike can enjoy high-end experiences in an exclusive and naturally beautiful location. Generously appointed, spacious, luxury suites provide you the ultimate place for any celebration. Araliya Royal suite includes two separate large bedrooms. Our unrivaled dining portfolio created by a talented team of internationally renowned chefs is being served at 5 restaurants and bars. All palettes are catered at our All Day Dinning restaurant - Fresh N Warm. At City Food Court we serve Arabic and Western cuisine, Asian, Indian, Sri Lankan delights & Vegetarian dishes. The Patisserie and Juice Bar serves a variety of pastries and cold beverages. If you wish to grab a quick meal, Lobby Café provides a fine selection of snacks, hot and cold beverages and other refreshments. Fox and Hounds is the cozy and comfortable place for guests to sit and unwind with friends whilst ѕірping on your favorite blends. You can also choose to spend a few hours by the Aqua Splash - on the рооl deck overlooking the city of lights whilst savoring fооd and bеvеrаgе dеlіghtѕ from the Рооl bar. For those in search of pure relaxation, Balinese Ayu Spa is a haven of sensual indulgence featuring the best of treatments.